Box Office Plays Dead: Is Audience Distracted by Netflix and Baseball? Horror rules as George Clooney and Matt Damon's "Suburbicon" belly-flopped in 9th place and audiences binged on "Stranger Things 2" and the World Series. Once again the weekend box office fell short of even the most dire predictions. This pre-Halloween weekend looks to be the second worst of the year. Initial tallies total $72 million. That’s down about 20 per cent from last year, which was the worst weekend of 2016. This isn’t due to a lack of new product. Three studios released wide films this weekend: “Jigsaw,” Lionsgate’s eighth time around for the “Saw” franchise; George Clooney’s badly-reviewed “Suburbicon” from Paramount; and Middle- America-targeted “Thank You for Your Service” from Universal. Only “Jigsaw” showed a pulse, though at $16,250,000 it’s the lowest (ticket price adjusted) opening in the series. The earlier annual Halloween efforts (from 2004-2010) ranged from slightly better to $44 million. The most recent, “Saw 3D” debuted at $25 million. The other two newbies between them couldn’t muster $6 million. That’s against a combined pre-marketing cost of around $45 million, with little hope for any major international boost. These are dreadful numbers, though consistent with a string of duds that have dominated the release schedule with minor exceptions since Warners’ blockbuster “It” gave false hope with its strong early September release. Paramount knew they had a problem with “Suburbicon” based on critic pans out of Venice and Toronto (festival play was a bad idea). But they were keeping players George Clooney and Matt Damon happy and hoping for the best for a star who has opened movies at $50 million or more three times in the last three years. Not in this case. This black satire on suburban norms is Damon’s lowest wide opener this century by an astounding margin, opening in 9th place with $2.8 million. Even a lesser effort like “The Great Wall” brought in $18 million on its first domestic weekend. “Thank You for Your Service” is the directorial debut of Jason Hall, co-writer of “American Sniper,” adapted from a biography of one Iraqi veteran’s experiences with post-traumatic-stress disorder. A Dreamworks production, at one point Steven Spielberg was rumored as director and Daniel Day-Lewis mentioned as the lead. While Miles Teller scored strong reviews, at the box office he has yet to deliver on the promise he exhibited in “Whiplash.” Hall brought authenticity to the war at home, but Clint Eastwood’s serious portrait of a soldier was led with taut war scenes that propelled it to success. This is the latest modestly-budgeted American drama about everyday male heroes, from “Stronger” to “Only the Brave” (also starring Teller) that has failed to resonate. The military film had a Saturday 11 per cent drop (“Suburbicon” only fell three per cent) which suggests that word of mouth won’t save it, despite a decent Cinemascore of A-. Theaters took a hit, but it’s hard not to think that steady losses spread around most companies (industry leader Disney hasn’t released a film in almost five months) will have an impact on future production and emphasis on fewer films made for theatrical release, with more emphasis on franchises and international-focused projects. And more horror films, this year’s “It” genre. The second weekend holdovers weren’t much help. “Boo 2: A Medea Halloween” (Lionsgate ruled the top two spots this weekend) fell 53 per cent despite the holiday boost. Last year’s Tyler Perry original on the same weekend dropped only 40 per cent from a third higher initial total. “Geostorm” (Warner Bros.) fell 59 per cent, although its better foreign results will keep it from being a complete disaster. Well-reviewed “Only the Brave” (Sony) kept its decline to 42 per cent, but it was far below what it needed to start with. 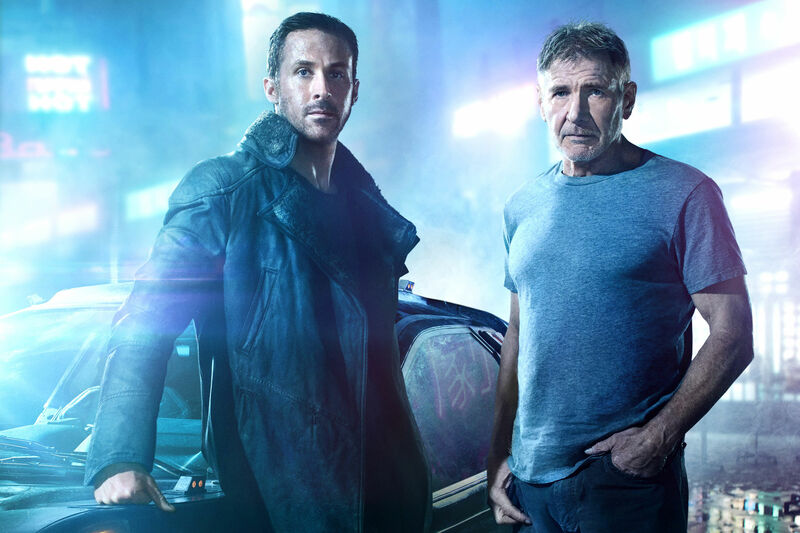 “Blade Runner 2049” got no late-inning boost from China, with a terrible $7 million start; smaller market Japan came in relatively better at just over $2 million. “Geostorm” opened in China at the same time, and did five times more than “Blade Runner.” That means more films like “Geostorm,” fewer like “Blade Runner” ahead. Disney’s Marvel rides to the rescue this Friday with “Thor: Ragnarok,” which opened in much of the world (but not top territories China, Japan, Russia and Germany) to over $107 million, in most countries ahead of the curve for top Marvel entries. And a later November release, Disney’s animated “Coco,” premiered nationwide in Mexico to $8.4 million, 69 per cent of the total box office in the country. Better times lie ahead.